Our very special guest Mr. Scott Fletcher, joined Eric, Kerry and Nicole on this live episode of Nerd Parents! This week we discuss traveling with kids, unhelpful advice from other parents, temper tantrums, having personal time, puberty, toddler translations and tons solicited advice! You can also find Scott, Kerry, Eric & Nicole on Twitter too! Eric joins me on this episode of Nerd Parents! This week we discuss naps, traveling, secondary drowning, heatstroke, perfect parenting and family game night! Nerd Parents will be recording a live episode at Nerdtacular on July 4th! Download the app for free (iOS or Android) to get all the latest details on schedule & events! You can also find Eric & Nicole on Twitter too! Don’t forget to use the code NERDPARENTS for 30% off your order from StrongholdGames.com You only have until the end of JUNE!! Eric, Todd & Rebecca Whitehead from AlphaGeek Radio join us on this episode of Nerd Parents! This week we discuss autism, Fathers Day, finding a nanny, locking down your kids social security number, bullies, Dunstan Baby Language, the Happiest Baby on the Block, toddler translations and family game night! Freeze your child social security number with Experian and other safe guards you can do to protect your child’s credit rating. Thank you Felicia for sending in the clips of Silas! So cute!! Eric: KiwiCrate with Colette. Click this link and you’ll get $10 off your subscription! Also if you have a little world traveler on your hands, check out Little Passports! You can also find Eric, Todd, & Nicole on Twitter too! Eric & Kerry join us on this episode of Nerd Parents! This week it’s nothing but solicited feedback and some ups and downs! We give it our best shot answering questions about how to tell your kids your expecting another child, how to handle serious, tough or cringe-worthy questions from your kids and how we handle food & mealtimes. Our friend Jeff did a Google hangout with Foster Fathers. You can watch the interview here. Brian Brushwood of Scam School/Night Attack/CordKillers & Kerry join us on this episode of Nerd Parents! We discuss the temper tantrums & behavior, overreacting, becoming a teen, food allergies, dentists, surgery, sleep, family game night, toddler translations & solicited feedback! Custom temporary tattoos for Kids! Thank you Dom for sending in the clip of Harrison! You can also find Brian, Bonnie, Kerry, & Nicole on Twitter too! NP – Ep 20 – Pee Pee in the Potty! Barry Ricks from The Closet Geeks & Eric join us on this episode of Nerd Parents! We discuss the stomach flu, potty training, shattered screens, bugs, tonsils, mean kids, roadtrips, home births, family game night, toddler translations & solicited feedback! Eric wants to know if Peepee Teepees are really a thing? How to make them yourself. 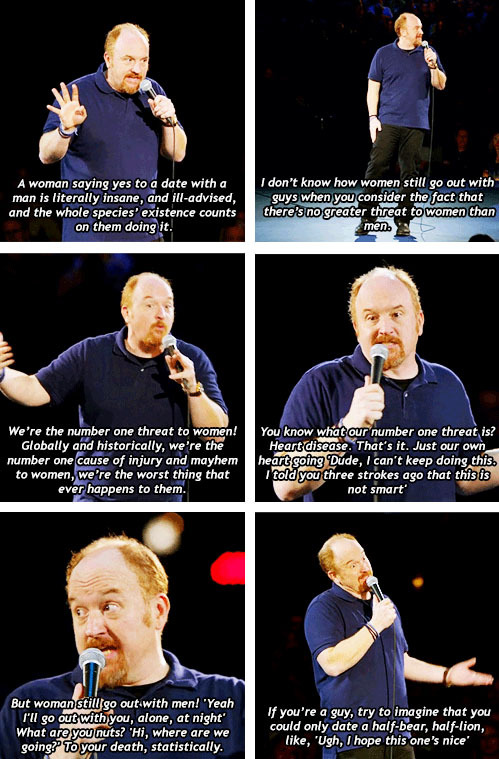 Have you seen this great write up about #notallmen & #yesallwomen from Phil Plait? Great resource to help you find a Doula in the US. Thank you Elizabeth for sending in the clip of Charlotte! From Eric: Minecraft with Colette is super fun! Build your own Ludo board! Check out this really cool Lego verison from the Baggerud family! Happy Towel Day from the Baggerud Family! You can also find Barry, Eric, & Nicole on Twitter too! Kerry & Eric join us on episode 19 (yes I know I said 18:) of Nerd Parents! We discuss strep throat, kids growing up, birthday parties (Happy 1st Bday Thaddius! ), bouncy houses, kids eating free, behaving in public, baby toupees, passing on fear to our kids, more sleep, family game night, toddler translations & solicited feedback! This Infographic Tells You When Kids Eat Free at Chain Restaurants and should restaurants offer discounts for ‘well-behaved kids’? Bouncy house flies away with 3 kids inside and creates a new fear for parents. Free Range Kids & Helicopter Parenting. Thank you Mike for sending in the clips of Ben! Thanks to Dan from GeekAllStars for his game recommendation at the end of the show: Crazy Creatures of Dr. Gloom Don’t forget to use the code NERDPARENTS for 30% off your entire order! You can also find Kerry, Eric, & Nicole on Twitter too! Sam Jane & Dan join us on this episode of Nerd Parents! We discuss 123 Magic, middle of the night wake ups, temper tantrums, Turners Syndrome, growth charts, teething, getting kids to listen, family game night, toddler translations & solicited feedback! Stay to the end for some great listener submitted segments! Graco Clear Nasal Aspirator – Thank you Karen! Thank you David for sending in the clip of Kira! You can also find Dan, SamJane, & Nicole on Twitter too! NP – Ep 17 – Wake Up Baby! Eric & Darrell join us on this episode of Nerd Parents! We discuss tests & education, holding our kids back, being an introvert as a parent, why it’s important to secure your IP camera, When Autism Speaks Kickstarter, family game night, toddler translations & solicited feedback! Stay to the end for some great listener submitted segments! Thank you Dale for sending in the clip of Zoey & Joshua for sending in the clip of Zac! Thanks to Dan from GeekAllStars for his game recommendation at the end of the show: Croak! Thanks to Miles for recommending Daniel Tiger’s Neighborhood on streaming Amazon Prime! You can also find Darrell, Eric, & Nicole on Twitter too! Eric & Kerry join us on this episode of Nerd Parents! We discuss overseeing your child’s health, epilepsy, finding a nanny or babysitter, encouraging our kids to like what we like, creating a calming bottle, family game night, toddler translations & solicited feedback! Stay to the end for some great listener submitted segments! Thank you Daniel for sending it clips of little Jude! Thanks to Dan from GeekAllStars for his game recommendation at the end of the show: Hey That’s My Fish! Thanks to Miles for recommending Team Umizoomi on streaming Amazon Prime!